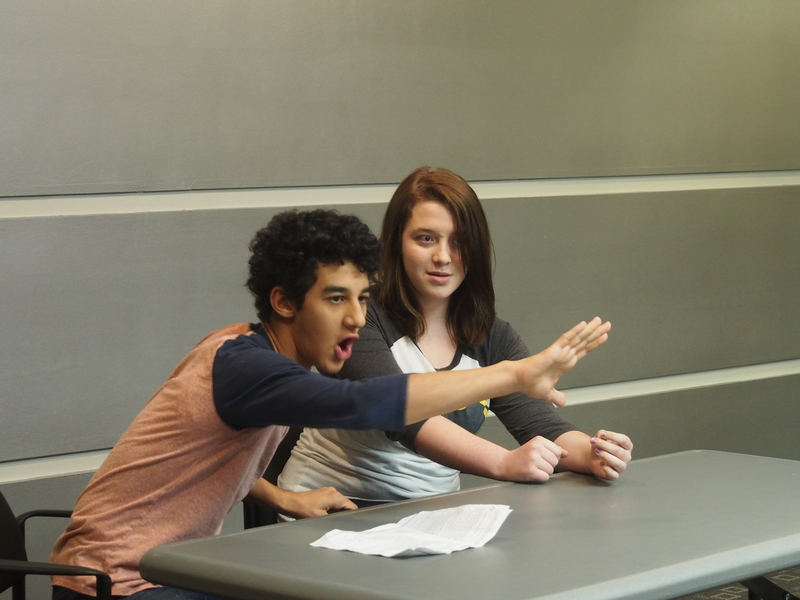 Rehearse scenes with partners and deepen your acting skills! Use theatre games, text analysis, and character development to make yourself a bold and inventive performer. For performers eager to deepen their acting training, this scene study class gives students practice preparing a role in a play. We will delve into the core of the scenes through rehearsals and improvisational games that teach basic acting skills: clarity of thought, intension of action, commitment to choices, and active listening and responding while in character. While rehearsing scenes, students will learn to research and explore their character, balance logic with imagination, identify their character’s journey, collaborate with scene partners, and rehearse productively. Traveling Players summer camps and classes always offer expert training in acting, character creation, physical comedy, stage combat, improvisation, and text analysis. We also value the spirit of the ensemble. Our ensemble- and team-building activities create a strong, supportive cast and friendships that will last a lifetime. The final class on Sunday, December 16 will be a public showcase of the Fall Classes. Running from 3pm to 6pm, the showcase features improv games, scenes, monologues, and an open mic for members of the TPE community to share their talents.